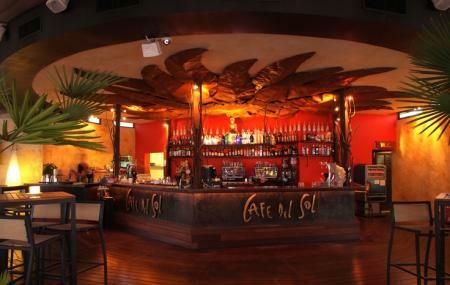 Cafe del Soul is popular cafe in Calvia. It is known to have been named in a way which depicts that it is a cafe with a lot of Soul. It reflects the modern Italian family sharing different sorts of food which has been cooked with a lot of care. They are open for lunch and dinner from Tuesdays to Saturdays, and Sundays they serve lunch only. They are closed on Mondays. How popular is Cafe Del Soul? People normally club together Jonathan Markson Tennis Center Peguera and Camp De Mar while planning their visit to Cafe Del Soul.